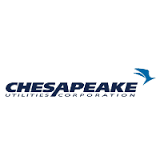 For the second straight year, Florida Public Utilities Company, a subsidiary of Chesapeake Utilities Corporation, has received a Safety Achievement Award from the American Gas Association for excellence in employee safety. The selection was based on criteria that included professional and personal commitment and dedication to improving the operations and engineering sectors of the natural gas industry through safety, accident prevention and research. The awards for 2016 were presented at the AGA’s Operations Conference in Orlando, Florida. The AGA’s Safety Achievement Award for excellence in employee safety is given to member companies that experienced the lowest DART (Days Away, Restricted and Transferred) incident rate — a mathematical calculation that describes the number of recordable injuries and illnesses per 100 full-time employees that resulted in days away from work or restricted work activity.